Depression is a common and debilitating condition which affects around one million Australians each year. While some episodes are short term, reactive to a situation or event, others last for longer periods of time and can impede a person’s ability to perform regular daily activities. The good news is that depression can be treated. There are a number of effective, evidence-based treatments available including cognitive behavioural therapies, medication and lifestyle changes. Diet quality has emerged as perhaps playing a role in helping or preventing depression. Some evidence suggests that diets rich in fruits and vegetables, legumes and whole grains, and lean proteins are associated with reduced risk of depression. The Mediterranean diet, famed for its association with improvements in many areas of physical health, fits these criteria. 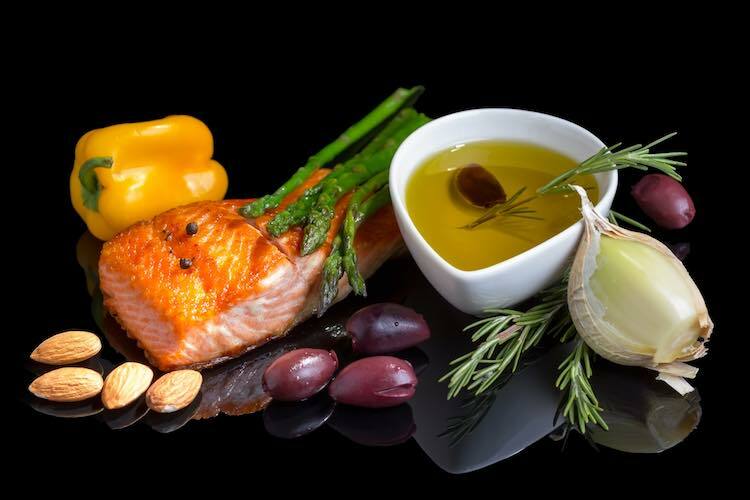 Researchers looked at the effect of adhering to a modified version of the Mediterranean diet on the severity of depressive symptoms. Participants had moderate to severe depression and were allocated to one of two groups for a 12 week study period. The first group received dietary support. This consisted of personalised dietary advice and nutrition counseling support, which included motivational interviewing, goal setting and mindful eating. A dietitian administered this. The diet, referred to as the ‘ModiMedDiet’, advocated the consumption of 12 key food groups in recommended quantities, including whole grains, vegetables, fruit, legumes, lean red meats, and low-fat and unsweetened dairy products. They were advised to reduce consumption of sweets, refined cereals, fried food, fast food, processed meats and sugary drinks. The second group received social support. This involved sessions where a trained professional discussed topics of interest with the participants, without engaging in techniques typically used in psychotherapy. Researchers assessed changes in depressive symptoms in both groups. People receiving the dietary intervention showed greater improvements in their depressive symptoms after three months than those in the social support group. The effects seemed to be independent of other factors potentially associated with the condition. This was a small study and more research is needed in the growing area of nutritional psychiatry. These findings back up research from observational studies showing that diet plays a role in the treatment of mental health conditions. It also may support the addition of a clinical dietitian to care teams for people with depression. Healthy lifestyle changes, including increased physical activity, have also been associated with improvements in mood. Talk to your doctor about ways you can improve your diet to benefit both your mental and physical health. Jacka, F et al. (2017). A randomised controlled trial of dietary improvement for adults with major depression (the ‘SMILES’ trial). BMC Medicine, 15:23. DOI: 10.1186/s12916-017-0791-y.